The technology enables rapid detection of Listeria. Today Sample6 announced a new patent for phage engineering technology. 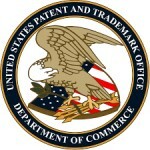 Issued by the U.S. Patent and Trademark Office, the patent, “Recombinant Phage and Methods”, is the first awarded to the company. The Sample6 DETECT/L system is the first in-plant, in-shift pathogen detection for Listeria. A continuation of the company’s effort to prevent contaminated foods from leaving food processing warehouses and distribution centers, the phase-based bacterial detection assay has been approved by USDA and AOAC. I was actually looking in to this a few months ago. Nice to see their progression…now I’m just trying to see if I can fit it into my lab budget.